Wendy is taking part in the Prudential RideLondon-Surrey 100 this year, raising money for Meningitis Now, in memory of her beloved daughter. On the lead up to the one-year anniversary of her death, Wendy, from Eccles, Greater Manchester, bravely tells her story. "Joanna was 16 years old and full of life. She was a sweet, kind, creative and intelligent young lady. She was in Year 11 at school and was studying hard for her GCSE exams, and had received a place at the college of her choice to study Art, History and Accounting." "Joanna's love in life was music, art and dance. She would spend her spare time drawing and listening to music, and from being a young girl she attended a dance class every Saturday. Her musical tastes were varied; she loved the film ‘La La Land’, as well as heavy metal. Joanna was also a gifted musician; she played the viola and sang in a youth choir." "The day Joanna contracted meningitis was during spring half term in February 2017. Joanna had been revising for maths in the morning, and in the afternoon she went to Manchester to meet her boyfriend and to buy a swimming costume, as we were going away the following day." "I picked Joanna up from the tram stop early evening and we nipped to the supermarket to get some supplies for our holiday. Joanna told me she had a headache, and when I nipped in another shop she waited in the car because of the headache. When we got home she told me her headache had started at about 2pm. She had a paracetamol and said she was going for a lie down." "After a couple of hours she came back downstairs and watched TV with me and her dad for a while, still complaining of the headache. We all went to bed at about midnight and Joanna asked for another paracetamol." "After a little while Joanna came into my room to say she had been sick. I looked after her and she went back to bed but was sick again not long after. After the second time she was sick she said her headache was getting really bad, and she climbed into bed with us." "I was starting to worry about the headache so I decided to call 111. I described Joanna's symptoms and they spoke to Joanna on the phone. One of the questions they asked Joanna was if she could put her chin to her chest and she said that she couldn't." "An ambulance was sent for Joanna and we took her downstairs to wait. By this time she appeared to keep going to sleep for about 20 seconds at a time and then waking up again." "The ambulance arrived some time later and the paramedic examined Joanna. He said he thought it was a migraine, but that they would take Joanna to Accident and Emergency." "I didn't realise at the time the significance of the question of whether Joanna could touch her chest with her chin, but the paramedic didn't ask this question when examining Joanna. I now see this as a missed opportunity to save Joanna, as this could have helped to diagnose meningitis." "When we arrived at the hospital Joanna was still talking and the paramedic asked me what tablets Joanna had been prescribed in the past for migraines. I could not remember the name but Joanna did." "Joanna walked out of the ambulance and was wheeled into the hospital in a wheelchair, but I noticed when we got to the cubicle she walked straight past the bed and appeared confused. The paramedic just chuckled and led her back to the bed and went off on his way." "She went quickly downhill from there. A nurse put a cannula in her arm in order to give her some pain relief because she was really complaining about the headache, but Joanna kept flinging her arms and legs around the bed. It looked like she was trying to get comfortable, and the nurse said she wouldn't get any pain relief unless she stayed still. I remember saying to the nurse she is in a lot of pain, she can't help it. I felt so helpless." "After a little while Joanna was moved from one cubicle to another for no apparent reason." "After a little more time a student doctor arrived to examine Joanna and was asking me questions for about 20 minutes, but he appeared to have no idea what was causing all these symptoms." "Whilst talking to the doctor I kept holding onto Joanna because I thought she was going to fling herself off the bed. It wasn't until a nurse came in - took one look at Joanna, immediately looked concerned and started to examine her - that things started moving." "It was now about 7am and Joanna was still moving around the bed but she wasn't waking up anymore." "Things moved very quickly from there and Joanna was taken through to resuscitation and given antibiotics for meningitis. Joanna was then taken to Intensive Care." "At about lunchtime the doctors spoke with us to say that Joanna was very poorly and that they were going to take her for a second scan. At about 6pm the doctors told us she wasn't going to make it." "The family gathered that evening, and Joanna's friends came to say goodbye. Myself and Joanna's boyfriend stayed by her side, and I held her hand all night. My husband looked after our son in another room at the hospital." "In the morning myself and the nurse washed Joanna's hair and cared for her. The nurses were so respectful of Joanna the whole time. 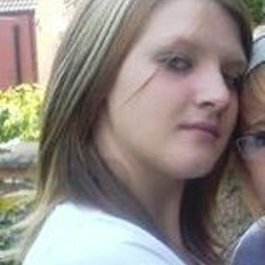 The family gathered again and Joanna was pronounced dead at 4.13pm the day after being taken into hospital." 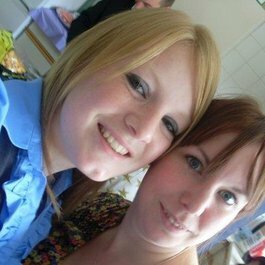 "Joanna’s organs were donated to save the lives of others - something we took great comfort in at the time." "Nearly a year has passed since that day and this is the first time that I have been able to write down and share what happened that day, because it is so painful a memory." "I cannot describe what the last year has been like. My son, our families and our close friends have been the ones that have kept me and my husband going." "I miss my daughter every day." "I am not the same person without Joanna - she was part of me and she still is. I hold her close in my heart and there she will stay until we are together again."